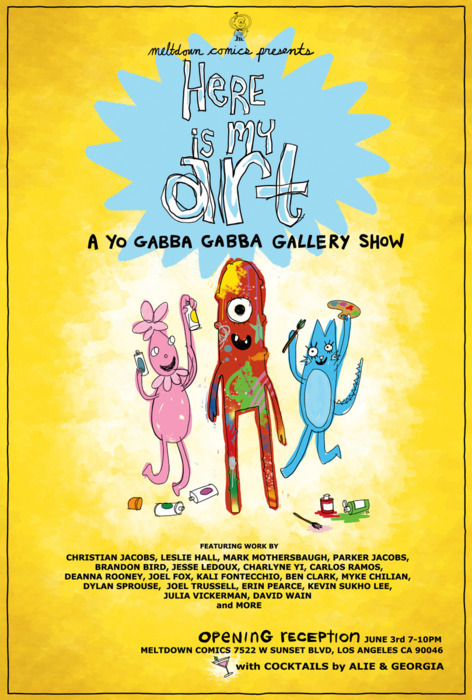 My pal Julia is curating a Yo Gabba Gabba! art show. I’ll have a couple framed prints in the show, featuring new art from some top secret Gabba merchandise I’ve been working on. 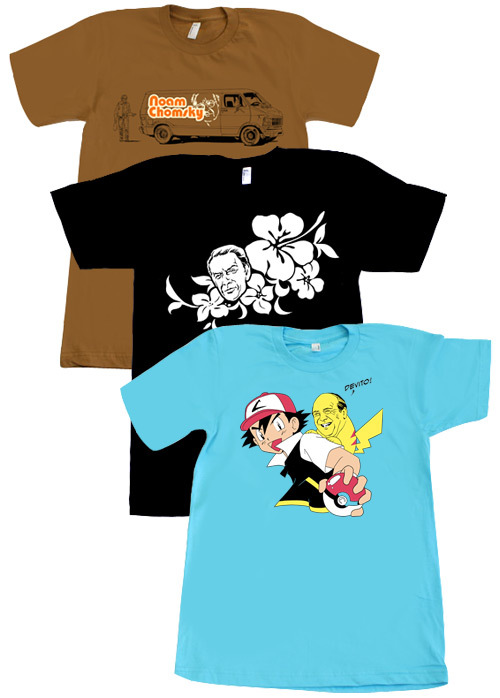 My loose association with the program goes back to 2003, when Christian Jacobs hired me to do some stuff for RVCA and his band The Aquabats (I remember drawing Brobee when he was the Aquabats villain “Broccoli Bee”). For a while I was working on one of the many, many Aquabats TV pilots, and when that didn’t quite come together for a bunch of different reasons, he and his buddy Scott were like, “Hmm, maybe we’ll try this other TV show idea we have… “ And the rest is sweet history.